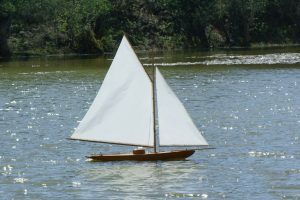 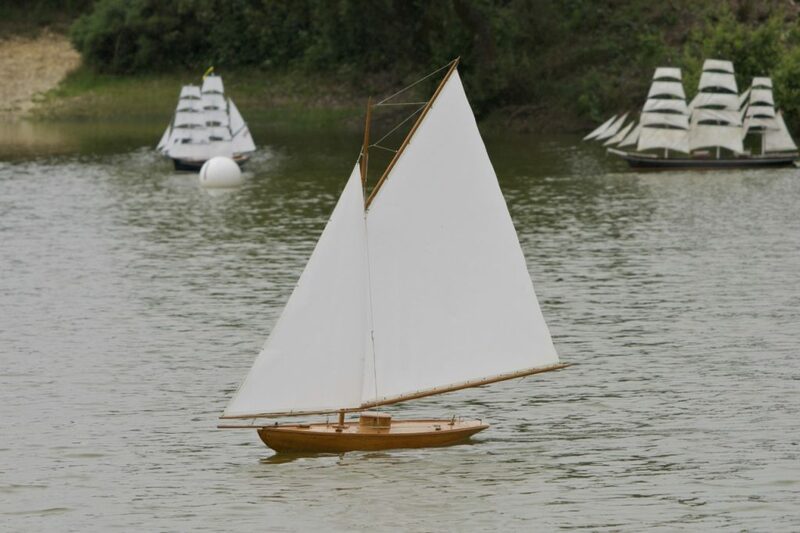 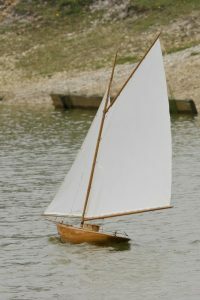 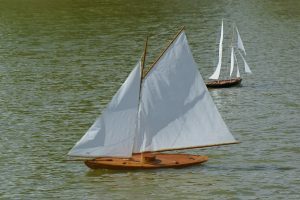 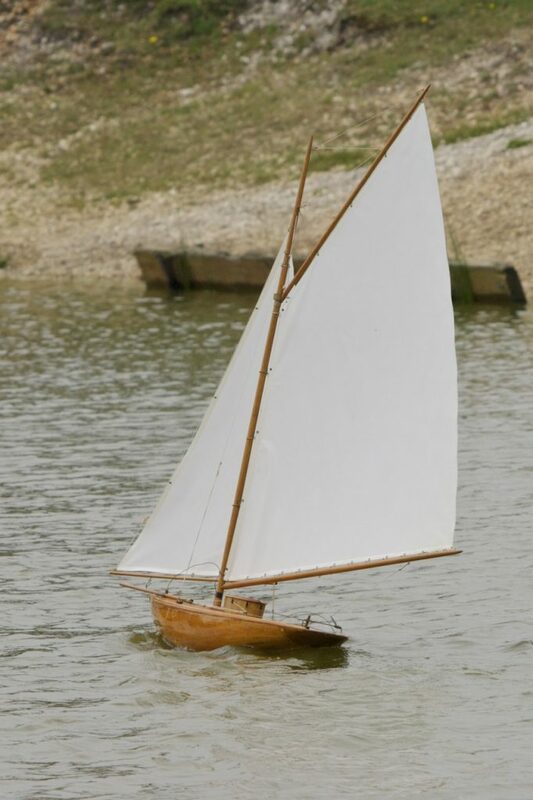 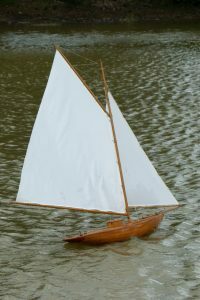 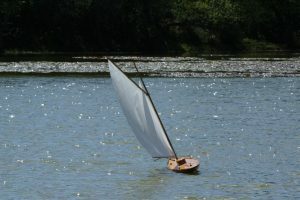 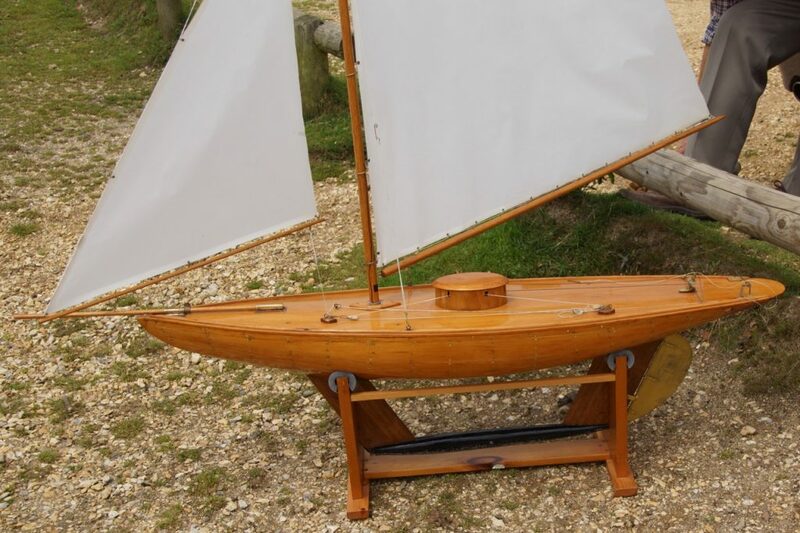 Classic 1920's Pond Sailer; Model: Brian Cornish. 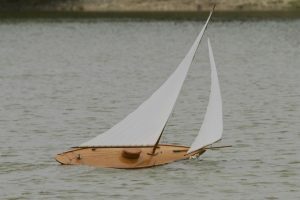 A classic pond yacht from the 1920’s(?) 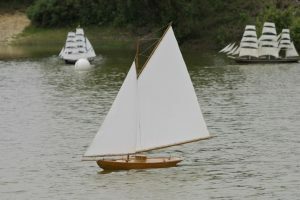 converted to radio control by Brian Cornish. 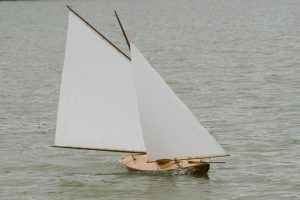 A beautiful carvel built hull with split fore and aft keel sections supporting a keel bulb. 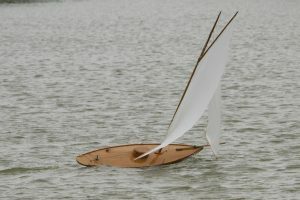 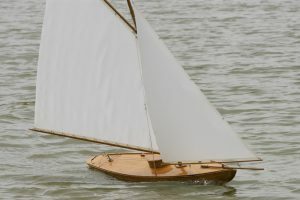 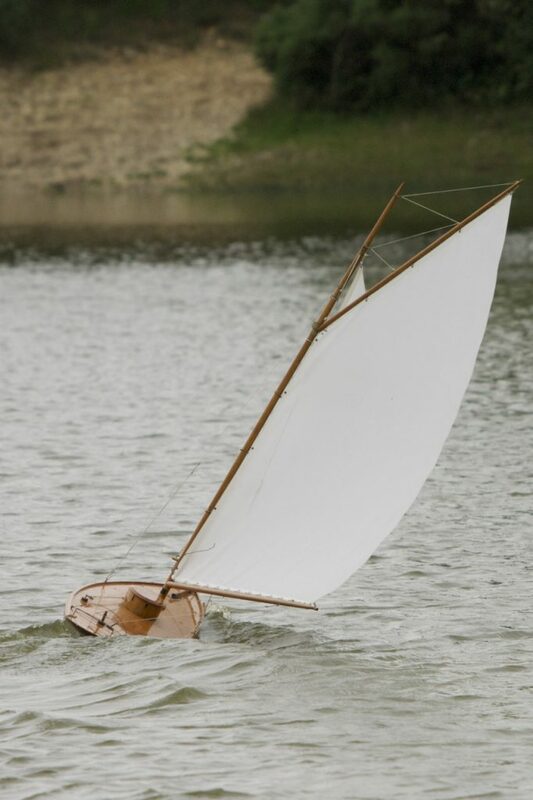 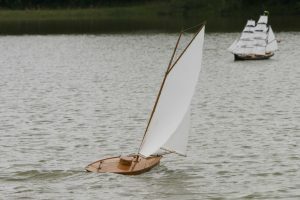 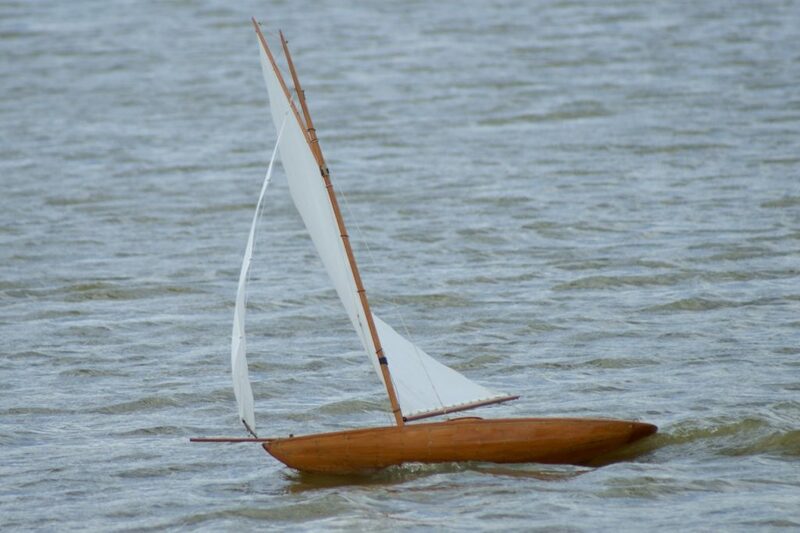 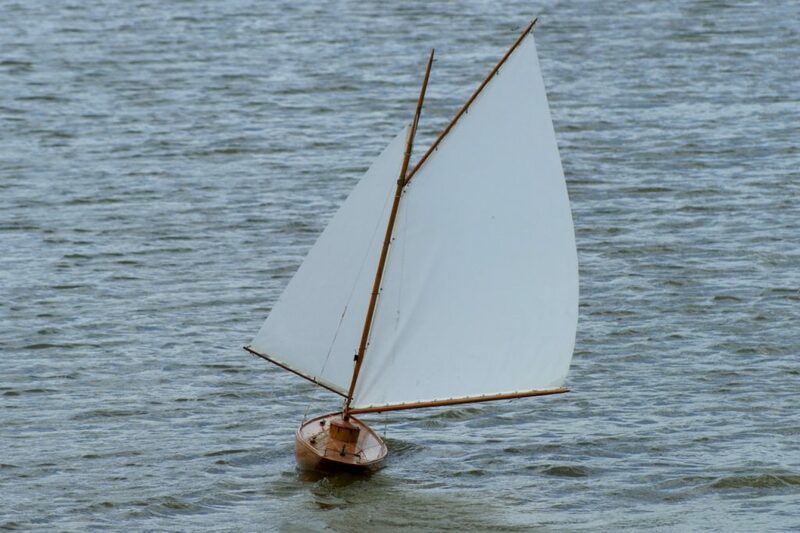 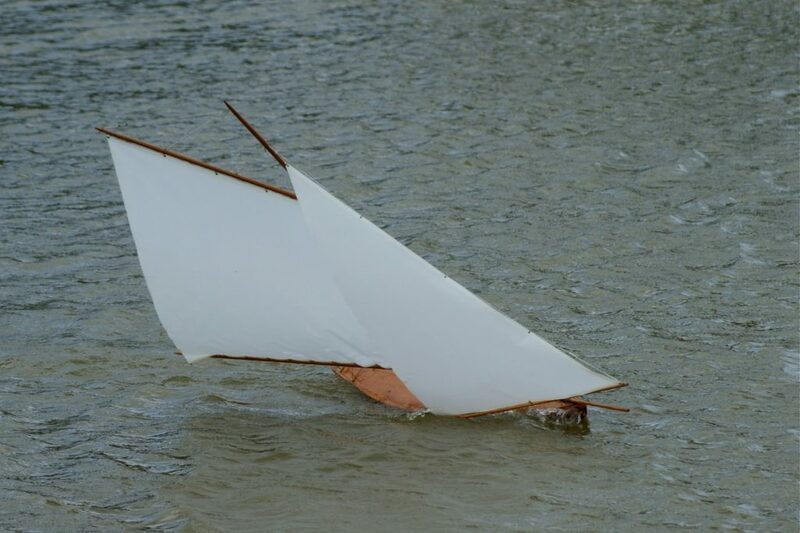 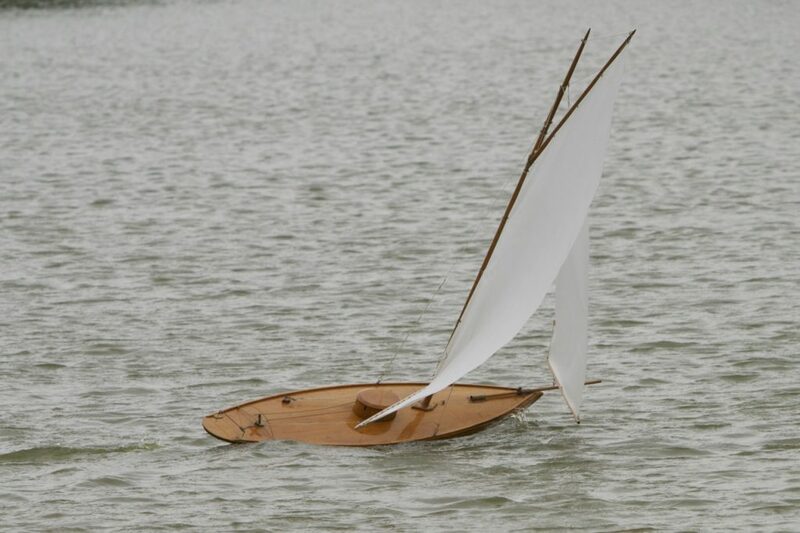 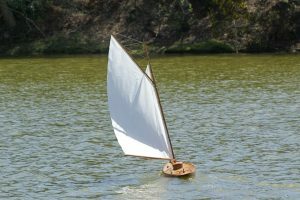 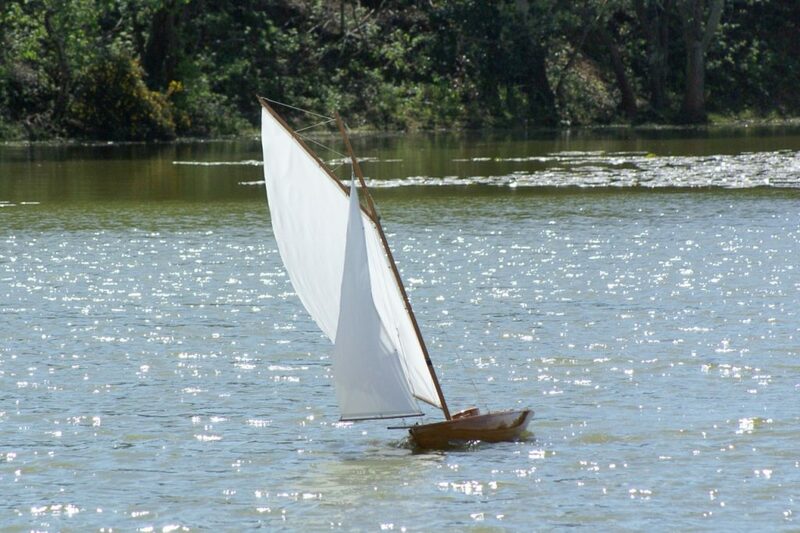 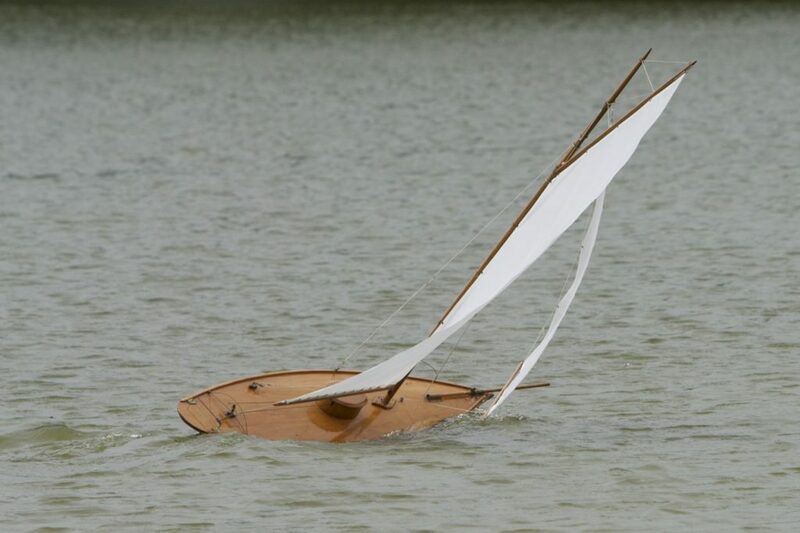 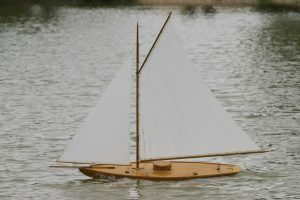 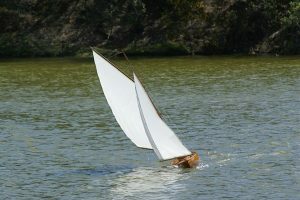 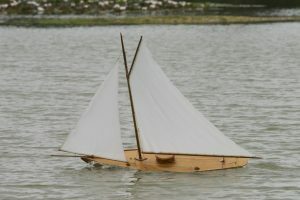 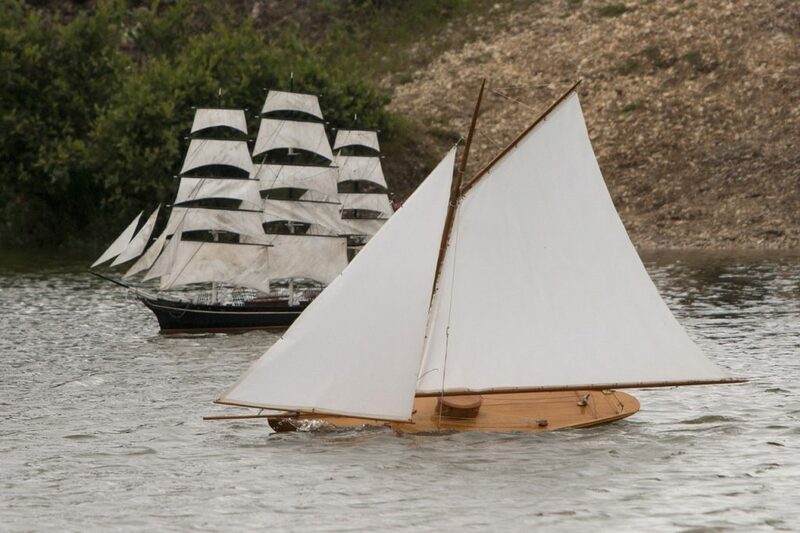 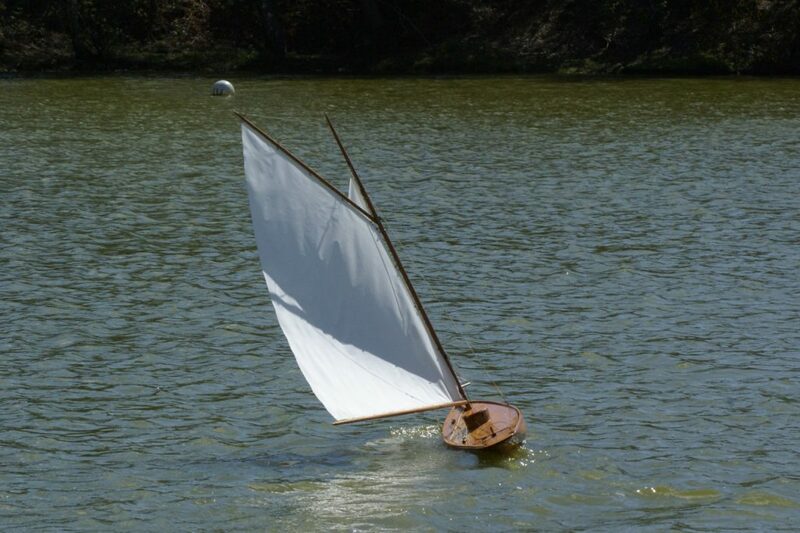 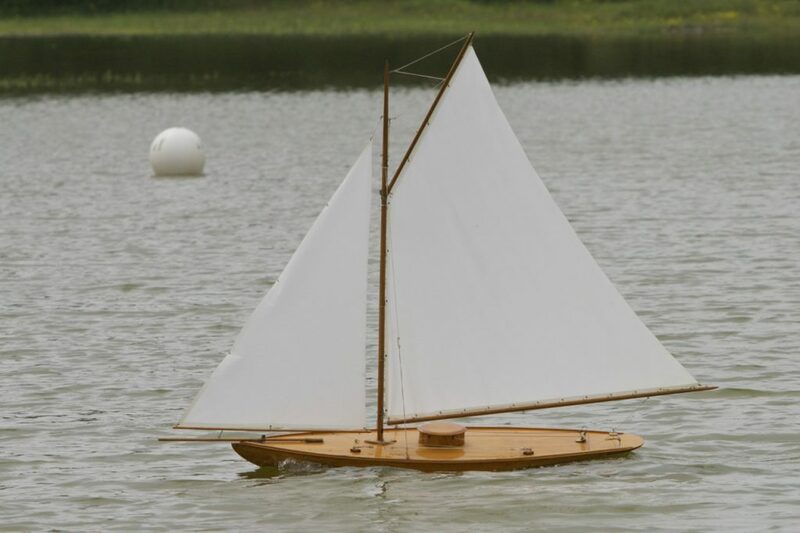 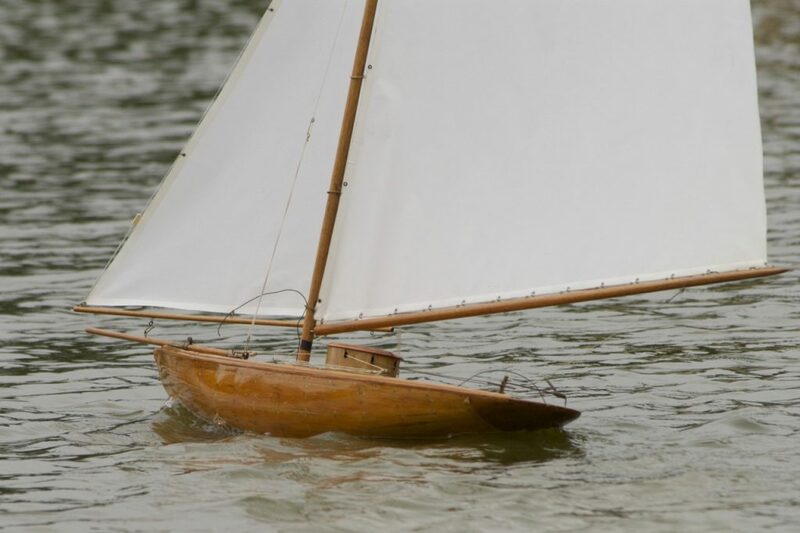 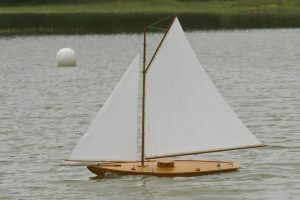 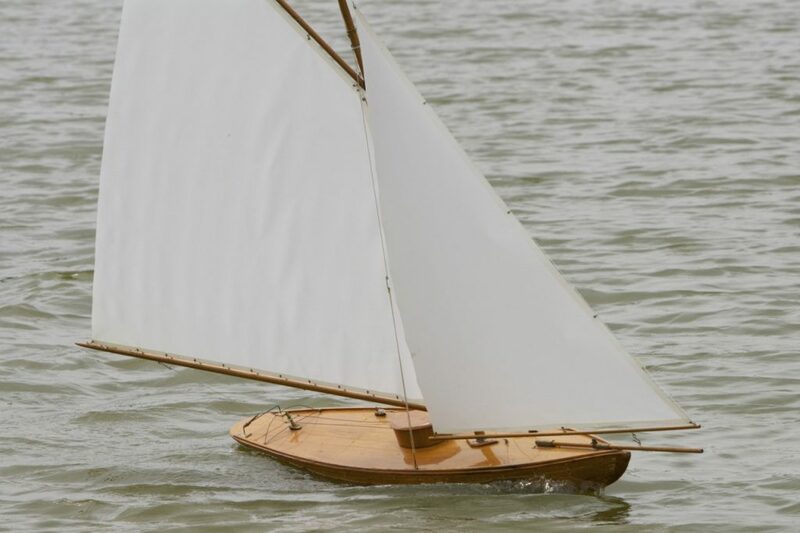 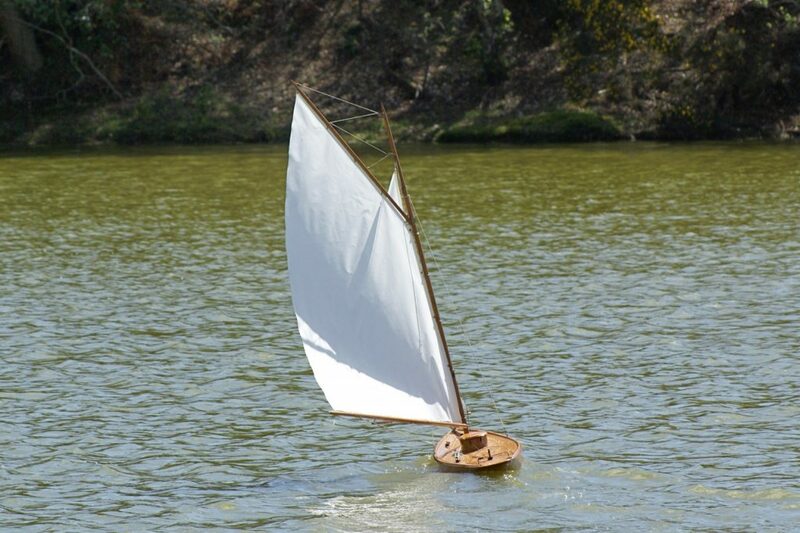 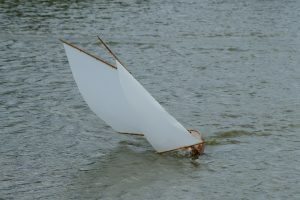 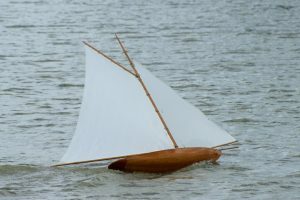 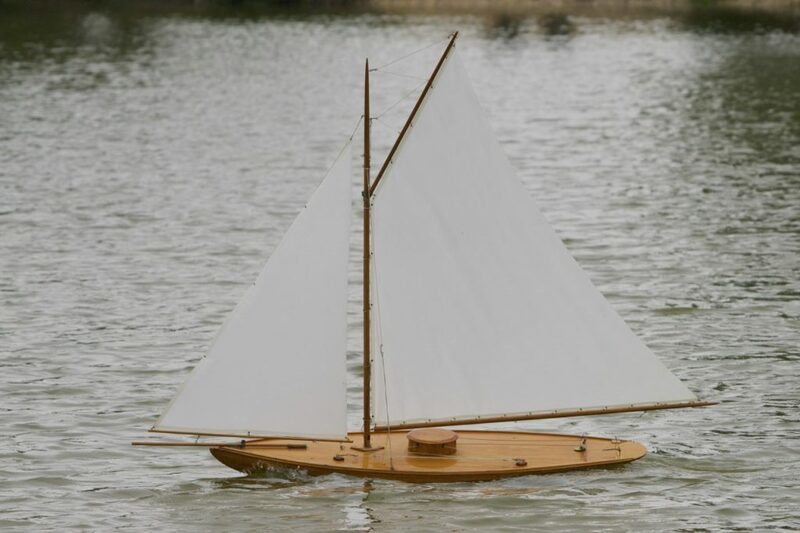 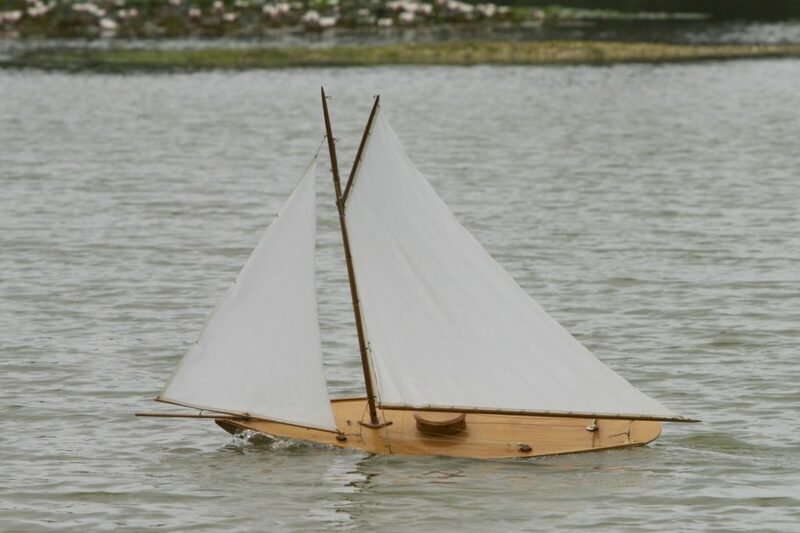 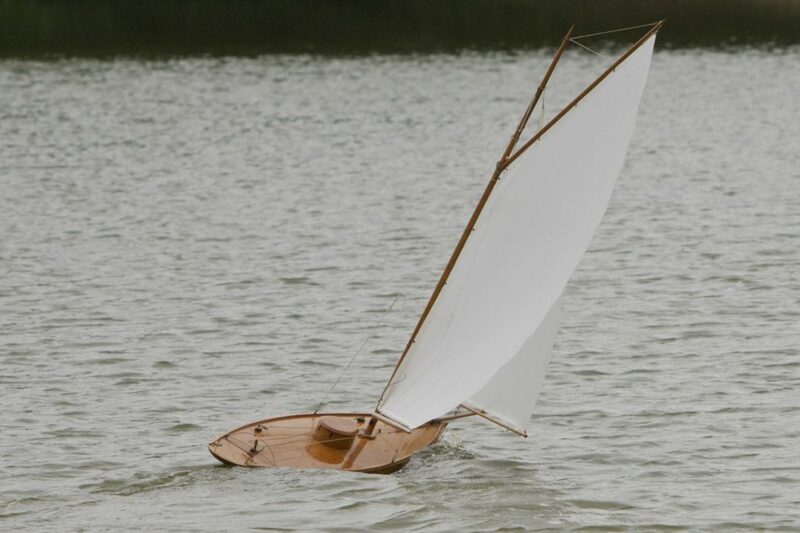 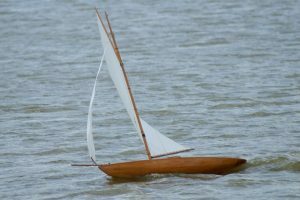 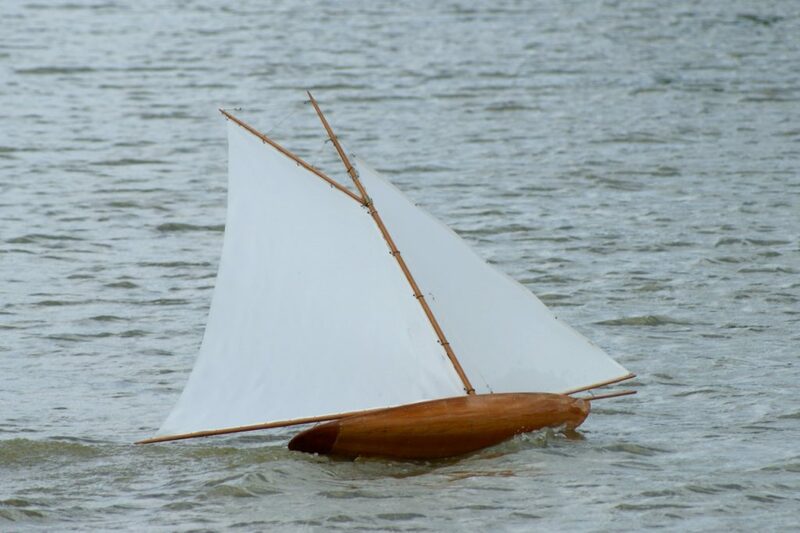 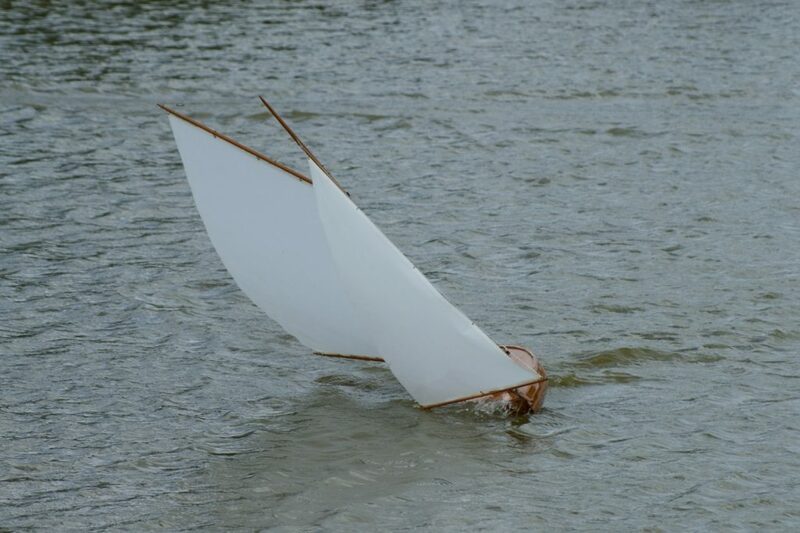 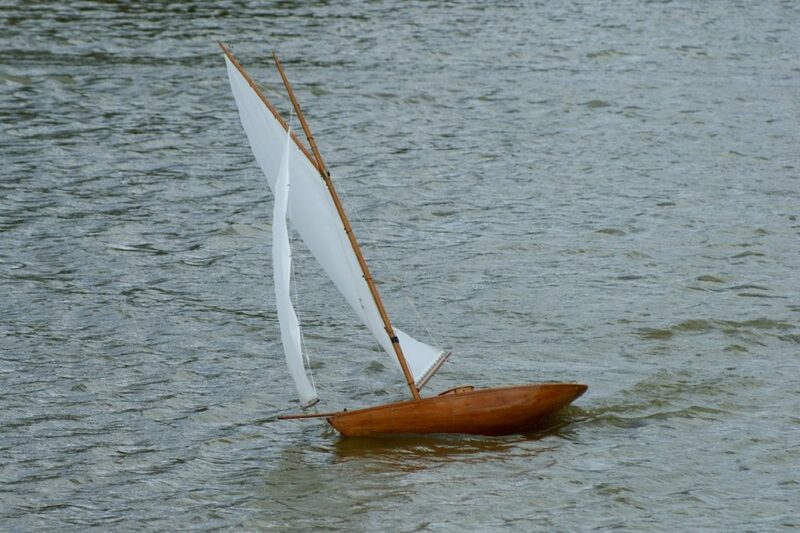 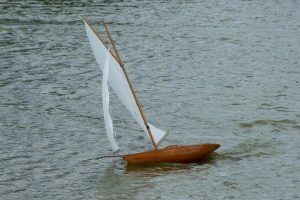 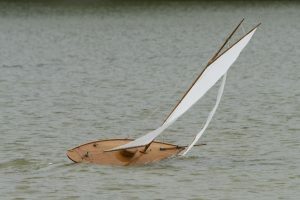 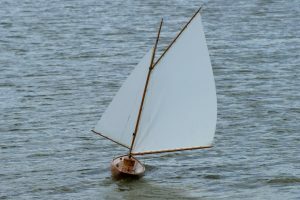 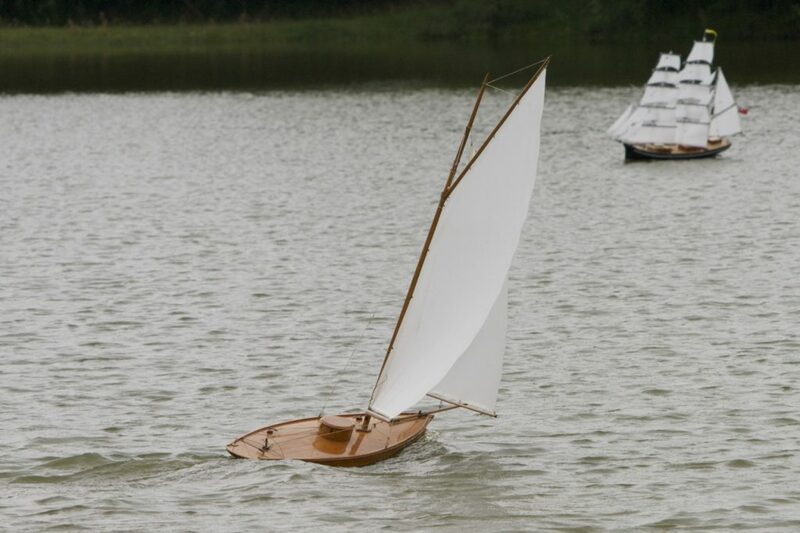 Apparently this was designed to give directional stability in her vane-controlled pond sailing days… but doesn’t make sailing her today any easier!